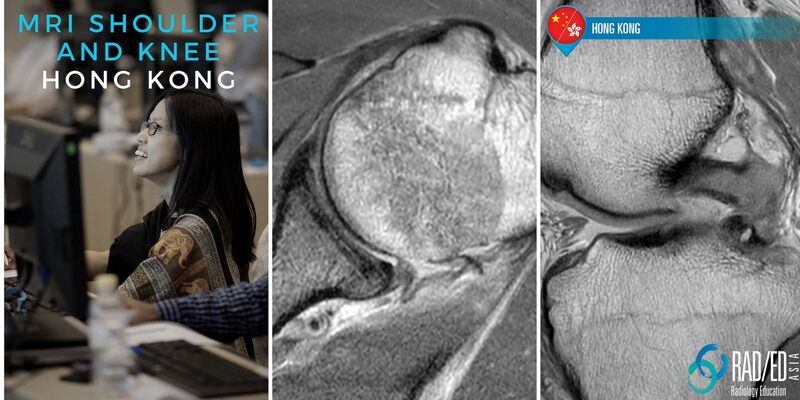 We will be having a 2 Day Shoulder and Knee MRI Mini Fellowship and Workstation Workshop in Hong Kong China on the 18th and 19th of May 2019 and registration is now open. This workshop will concentrate entirely on Knee and Shoulder MRI which are the two most common joints requested in MSK imaging. We will spend a day on each joint and cover the abnormalities that we commonly see in cases that come up for reporting. Click on the image below for the Workshop Agenda. 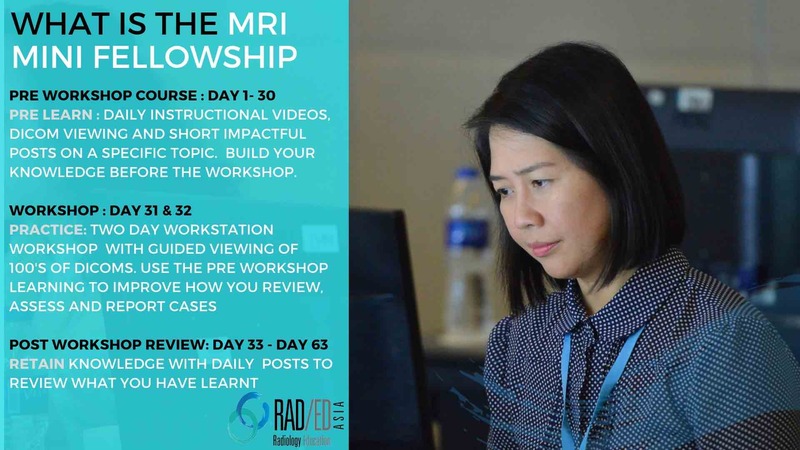 The mini fellowship is aimed at enabling you to learn, practice and retain knowledge and to go back to work reporting the MRI scans on your list more confidently and accurately. MINI FELLOWSHIP AND WORKSHOP. WHAT IS IT? In my Fellowship, like most Fellowships, I learnt through a combination of reading for background knowledge, seeing lots of cases and having someone sitting next to me who could answer specific questions and point out abnormalities and how to find them which is a very effective method of learning. But for a lot of people they either don’t have access to a Fellowship or are unable to spare the time for a 1 or 2 year fellowship…and miss out. They try to learn by reading journals or seeing powerpoints at conferences which don’t really work in teaching you how to read and more confidently interpret a scan. We structure our workshops with a Fellowship method of learning, together with constant repetition and review of what you learn, and these combined are much more effective in learning and retaining knowledge than the standard conferences or just reading journals. SO WHATS INVOLVED IN THE MINI FELLOWSHIP? A structured 30 Day Pre Workshop Learning with Dicoms, How to Videos and Posts to get you the basic information before the workshop. Then a 2 Day Workstation Workshop to build on the pre workshop course and further learn to assess 100’s of dicom cases. Followed by a 30 Day Post Workshop Review Programme to refresh and help retain what you have learnt. 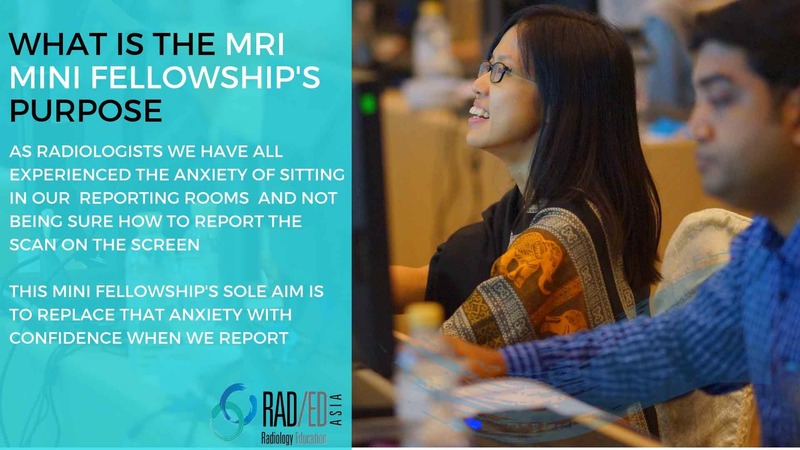 The mini fellowship is aimed at enabling you to learn, practice and retain knowledge and to go back to work reporting the MRI scans on your list more confidently and accurately. Our workshops have been popular as they provide a hands on learning where you see 100’s of dicoms on individual workstations. You will see and diagnose more pathology in a weekend than most people will see in years. CPD POINTS will be allocated by RANZCR which are recognised by most International Colleges and Health Authorities. RCR will recognise points awarded by RANZCR. WHO IS THIS WORKSHOP FOR? We have Radiologists, Rheumatologists and Sports Medicine Physicians attending and the workshop will be suitable for any Medical Doctor who has an interest in or deals with MSK injuries. The level of the workshop is for Doctors with limited to intermediate experience in MSK MRI who wish to improve their reporting of MSK cases. The workshop would not be suitable for you if you have significant experience in reporting MSK MRI or have done a MSK Fellowship.